The Staffordshire mother decided to organize a nurse-in as a response to the image being posted. “I was initially going to ignore the post and laugh it off, but then I realised that this is a perfect example of what needs to be erased in modern day society. Why should mothers who are doing the best by their children feel that they should be confined to a toilet or changing room to provide their baby with nutrients? Would you eat in a toilet or with a blanket draped over your face? Emily Slough, you are a tougher woman than I. I would have been upset and angry. 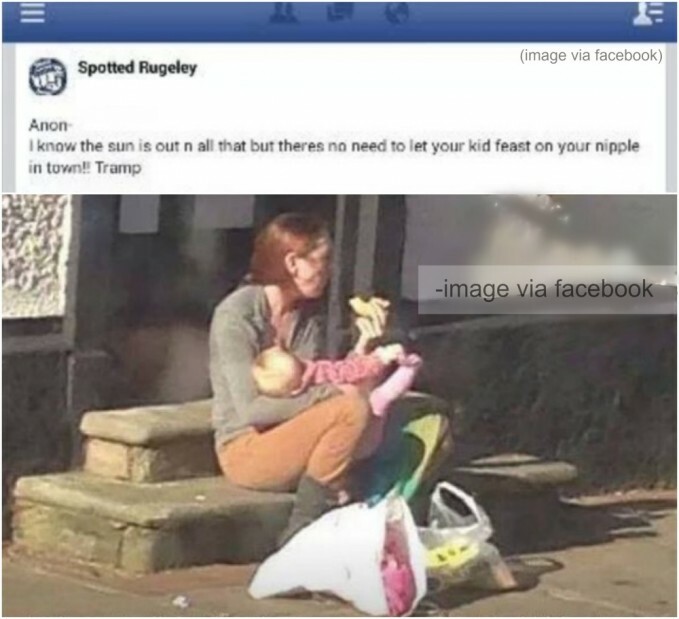 Good for you for making the most of it and being a positive image of breastfeeding. I fed all three of my babies for a year each. Whenever and wherever they were hungry. Why shouldn’t I? Why shouldn’t any mother! ?